Below are a few of our certificates I have collected to support my love for Astronomy. These certificates are designed to fuel the interest we have in Astronomy by acknowledging our efforts to the hobby - regardless of how small our efforts. 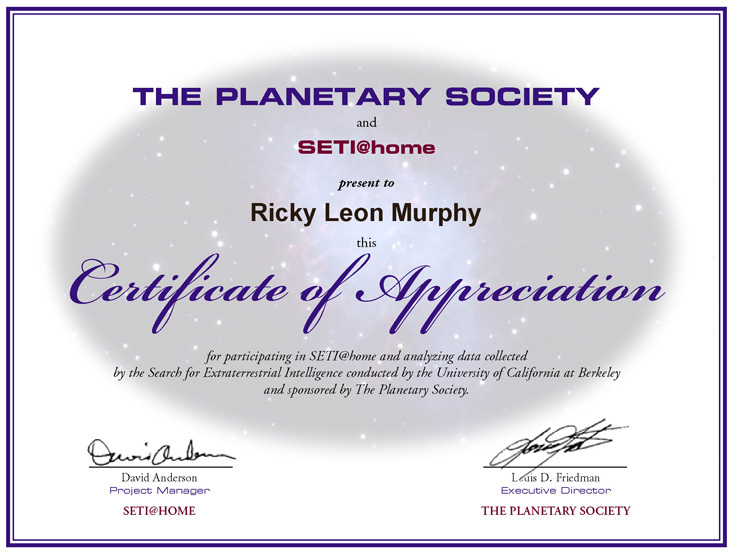 This is a certificate of appreciation for participating in the SETI@Home project. 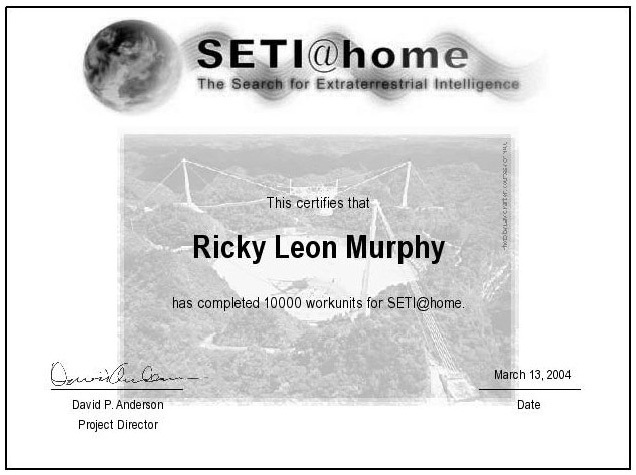 While I have earned over 20,000 units so far, this certificate reflects 10,000 units processed by my computers for the SETI@Home project. 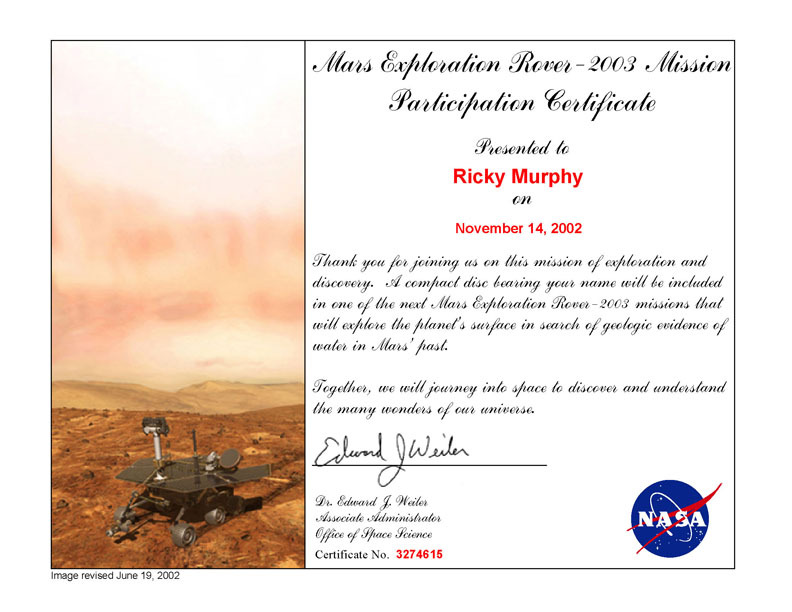 This certificate is confirmation that my name in on a DVD residing on both of the Mars Exploration Rovers. Below is a confirmation that the MER's have landed. In support of the New Horizons mission to Pluto, I have requested my name to be included on a CD that will travel with the spacecraft. 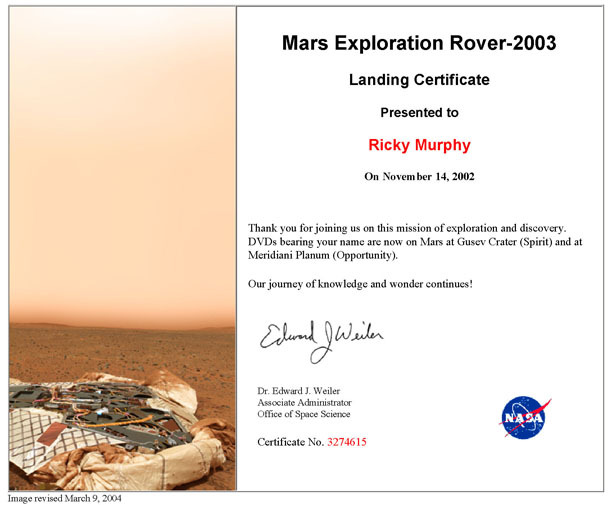 The below image is of the certificate that will also include Astronomy Online.